The memories of Kidambi Srikanth smothering top dogs of the men's singles circuit are still fresh. This time, last year, everything around Indian badminton was so different. Srikanth had reached the zenith of his career, after all. In a space of two weeks, came two back-to-back titles in Indonesia and Australia. Hell broke loose on the European circuit as the attacking Guntur lad dazzled on the court like never before to bag the Denmark Open and French Open in a space of two weeks. For many, Srikanth's rampaging form was just a matter of time. After mastering the court on the South East Asian and the European front, it was time to conquer the home court. However, he fell to HS Prannoy in the final of the National Championships. Srikanth had played the tournament with a foot injury. Fatigue had taken a toll on his body, which reflected his performances thereafter. Srikanth had lost the touch. From being an unknown name to a serious threat, Srikanth used to punch above his weight but has now succumbed to pressure. You would still find him dazzling on the court with his attacking strokes and wrist wizardry, yet he falls short of winning. "The competition is tougher this season, it's more open. Many players have done so well this year. The quality and standard have gone up. So, that makes it a huge challenge for me personally," Srikanth told Firstpost. Of course, the circuit is getting tougher than ever. The players are getting stronger than ever, but this isn't the only reason behind the dip in form. "I wasn't really jumping out when I won tournaments last year and I'm not even crying when results don't turn in my favour. I'm investing my time in finding that consistency. When you lose, there are some things that aren't working your way. We've identified that," said the Red Bull athlete. A slew of questions was thrown at Srikanth after his below-par performances following the National Championships last year. 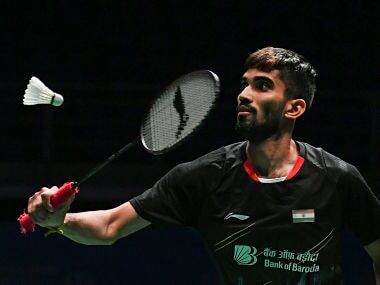 When Malaysia's struggling shuttler Iskandar Zulkarnain and the unseeded Huang Yuxiang of China got the better of the Guntur shuttler in the second hurdle of India Open and All England Open respectively, it was evident how Srikanth was failing to regain his lost form. But, the Commonwealth Games came as a breath of fresh air. He defeated the masterful Lee Chong Wei en route to the team event gold but clinched silver after losing to the same opponent, this time in the final of the individual event. The two medals were a mere indication of a possible back-from-the-dead recovery, despite Lee and Rajiv Ouseph of England being the only threat to Srikanth. This propelled him to more greatness as he went on to replace Denmark's Viktor Axelsen as the world's top-ranked men's singles player for a brief period when the Badminton World Federation released its weekly rankings on 12 April. But since then, out of the seven tournaments, the 25-year-old has only managed to reach the semi-finals on just one occasion. So, what's wrong with Srikanth? "People compare this year to last year and hence the criticism. Otherwise, if they forget last year and think about 2018 then it's one of the best years I've had. Winning the Commonwealth individual silver, gold in the team event and becoming the World No 1," he explained. For now, the World No 1 position is dominated by Kento Momota, a lethal left-handed shuttler from Japan, who has thwarted Srikanth in his previous three meetings this year. Momota was banned by his country's badminton association for illegal gambling but since returning to the men's singles circuit, he has never looked back. "He was already doing well before he was banned and has come back really strong. He has been extremely well and so are the Indonesian men's singles players doing pretty well. Shi Yuqi too has been on the rise. So, it's going to be a great challenge for me to face these young shuttlers in the next five-six years," he added. Srikanth admitted that he scrolls down to the comment section oftentimes and reads the criticism that it offers, but believes that he's still at the top. "It hasn't been a bad year as I'm still there at World No 6. I wouldn't have been there if I was playing that bad. The ups and downs do happen. I just want to do better." The circuit takes him to one of his favourite countries, to the only European powerhouse in badminton. Denmark. 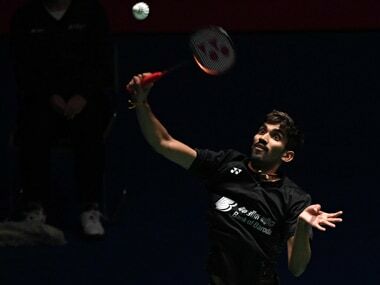 "I really like playing in Denmark and France and also in China and Hong Kong because I won Denmark-France and won my first Superseries in China," said Srikanth. His movements in the Odense Arena last year left everybody stunned. Local boy and then World No 1 Viktor Axelsen wasn't expecting a plethora of flat smashes and how the Indian manipulated the fast court. "I really like playing in fast courts. I can be a little more aggressive. But on the slow courts, I become more focused and plan my strategies well," said Srikanth. 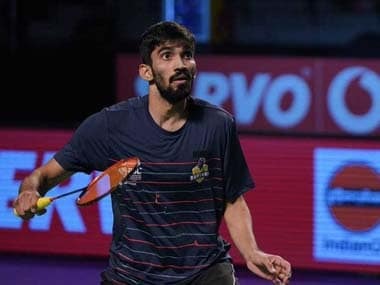 Srikanth will face Hans-Kristian Solberg Vittinghus of Denmark in the opening round and could come up against two-time Olympic champion Lin Dan in the pre-quarter-finals. If he wins that too, he would face either Jonatan Christie, Shi Yuqi, Wong Wong Ki Vincent or compatriot Sameer Verma in the last eight. Being an all-out attacking shuttler, Srikanth has been focusing on his overall fitness ahead of the European circuit, for which his trainers have emphasised on more off-court drills and endurance-building exercises. Now, with not much time remaining in 2018, Srikanth's only target is to improve as results become secondary when things aren't turning in his favour. "It's about getting better and my aim is to improve. The approach is still the same. I don't think about winning the tournament before I enter, it's about doing well in every match," he said. Lastly, he hasn't let the results affect him as he relishes the new challenge in the men's singles circuit. So, he did have an answer to all the criticism and questions thrown at him day in day out. "Every time I lose, I only come back stronger," he concluded.